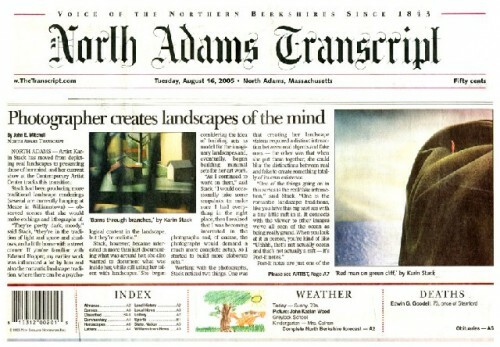 Front page of the North Adams Transcript which will merge with the Berkshire Eagle. The Transcipt has covered the region for more than a century. Has the Eagle emerged as a phoenix? The spin is that the 170-year-old North Adams Transcript, while ceasing its print run on January 20, will “merge” with its parent company the Berkshire Eagle. At least for now the ghost of the Transcript will retain its offices and staff of primary reporters on Main Street. Its building was sold several years ago. No such luck for the ever more ephemeral and irrelevant weekly The Advocate. Initially, a vibrant and feisty regional publication with lifestyle and arts features, it had been reduced to covering and being circulated only in Williamstown. These developments follow a national trend of the erosion of daily and weekly print media. The publications that remain are in triage mode with shrinking news rooms and austerity measures. Berkshire media observers have seen this coming with the ever weaker and costly Transcript and Advocate not pulling their weight with advertising and circulation. As a journalist it hurts to see colleagues facing downscaling and economic adversity. In 1975, I packed my stuff and moved out when the daily Herald Traveler merged with the Record American. It seems that every other desk in the city room sported a bottle of whiskey that day. The new Hearst publication kept only sports and a few feature writers. The last couple of decades have seen numerous shut downs, mergers, cutbacks and buyouts. The changes were announced this week by Kevin Corrado, president and publisher of NENI, and Kevin Moran, vice president. 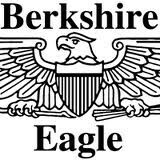 The parent company will continue to publish The Berkshire Eagle. Following national trends when will The Eagle cease its costly daily print edition and downscale to an on line resource? There have been design changes and upgrades to the Eagle’s website but they are less than impressive. The site is difficult to navigate and not well archived. Articles do not stay up that long and are hard to find when searched. Or require fees to activate. When we first bought a home in the Berkshires in 2001 The Advocate was an invaluable resource for features and listings. In particular we relied on the theatre reviews of Peter Bergman. Often he had several reviews each week particularly during high season. Because of a scathing review a couple of summers ago of Ten Cents a Dance at Williamstown Theatre Festival the then new publisher assigned WTF reviews to other writers. First Bergman was cut back and last season was let go by the Advocate. The reviews which replaced him pretty much loved everything to the detriment of readers. One result of this latest development is that the Berkshires have been downscaled from three theatre critics- Advocate, Transcript, and Eagle- to one. The remaining critic is Jeffrey Borak the arts editor of The Eagle. Other than theatre the Advocate and Transcript were not noted for their arts coverage beyond the features of John Seven and Jennifer Huberdeau at the Transcript. Last season Huberdeau covered theatre in addition to other responsibilities. In the Eagle they will compete for space in a limited news hole. The Eagle continues with the superb coverage of Andy Pincus on classical music and Richard Houdek on dance and popular music. Last summer a lively fine arts critic, Keith Shaw, was cut from the weekly arts tabloid insert and replaced by its editor a generalist and feature writer Kate Abbott. The Eagle’s art critic and a former editor, Charles Bonenti, has retired but continues to cover major exhibitions. Clarence Fanto, a former editor and now a contributor to The Eagle, provides in depth features and arts reporting. The arts are a crucial part of the cultural tourism economy of the Berkshires, particularly during the summer season. Journalistic cutbacks have an inevitably negative impact. When there is a single print critic a bad review can really hurt. Even a positive review is less important when it appears after the event or in the middle of short runs. Theatre productions average two weeks. When stretched thin a single critic is not able to cover all of the shows in the region in a timely manner. As an editor Borak has duties beyond writing reviews. The changes will have a negative impact on politics and grass roots issues in North Adams, Adams, and Williamstown. We are told that coverage will continue in the Eagle but hardly with the same depth and vigor. The Transcript has had a special relationship with the Mayoral politics of North Adams. It was often perceived that former, long term Mayor of North Adams, John Barrett III, and now deceased Advocate/ Transcript editor, Glenn Drohan, were joined at the hip. That made it tough for Richard Alcombright to unseat Barrett is a truly bitter campaign with a lingering aftermath. The Transcript and Eagle were reluctant to embrace change although that has softened through a third term. The snail’s pace of economic development in Northern Berkshire County is a story which has been stretched out for more than a generation. The impact of Mass MoCA has been significant but incremental. Add to that the expansion of MCLA under its president Mary Grant. The Transcript kept watch on this and will be missed. That coverage and feedback from readers keeps everyone honest. Concerned citizens will increasingly turn to on line resources. The multi purpose site I Berkshires is ever vigilant under its superb editor Tammy Daniels. It reports that "These journalists will continue to do what they do best — and that is cover Northern Berkshire County. With this, The Eagle renews its commitment to serving the communities of Northern Berkshire County, while carrying on the longstanding tradition of being the voice for the region. If, then there was one, how long will it be until, then there was none. "A large part of the blame can fall on WalMart which destroyed the downtown retail business which was the cornerstone of all advertising revenues. " "What is truly sad about this news is the reversion to a single print sensibility about affairs in the Berkshires. As a long-time contributor to the Advocate (and the Eagle) I saw and felt the loss of its visibility last summer. Now with the Transcript and the Advocate ceasing to exist there is really only one opinion on anything that we will be reading (not to say that the Berkshire Record doesn't have a voice, but it is limited in its availability as is the Pittsfield Gazette). We are the largest County in the Commonwealth. We are now diminished as a community by the lack of true local coverage. â€œ1984" becomes real and we will suffer from the loss of individual strengths."